Give Love - Receive Gifts! 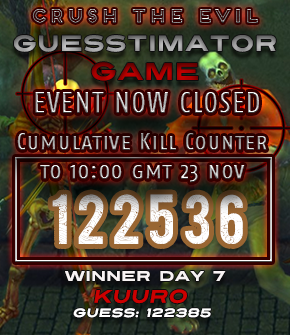 The event will start at 00:01 GMT/UTC February 9 and will come to end at 23.59 GMT/UTC February 21. The Goddess of Love has scattered Magic Love Arrows across the World of Aura. 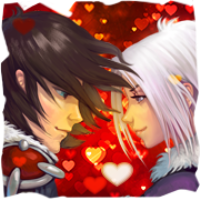 Across these wonderful days, killing monsters you will sometimes drop Love Arrows which you can use on other players to express your feelings towards them. 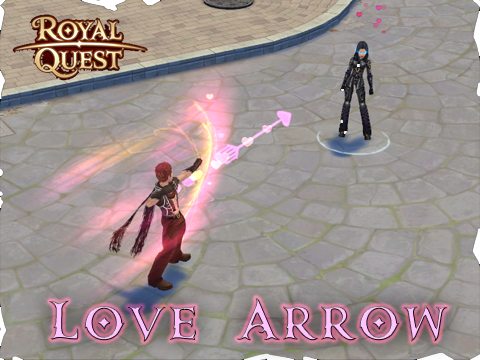 Just shoot a character (of the opposite gender) with the Love Arrow so they benefit from your Power of Love and restore their health simply by walking around! 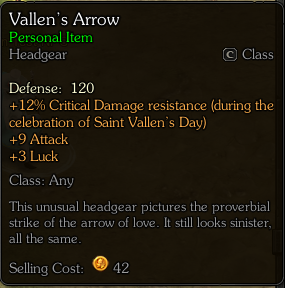 Plus - for every 25 arrows you use on other characters, you will be rewarded by St. Vallen with a Special Surprise Gift. But remember: you cannot shoot Love Arrows at those who are already affected by someone else's Power of Love - that would not be fair, would it? Note: The Special Event Effects last for the event's duration only but the items remain usable without the Special Effects throughout the year. Combine your Gifts for even Better Gear! 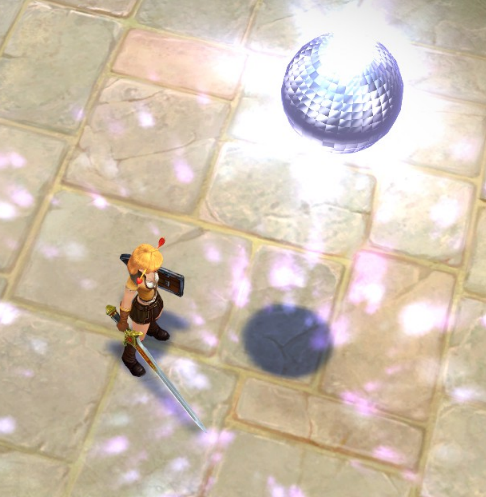 Whilst what you get from your Gift will be random, sometimes you will find recipes for improved Two Hearts Glasses, Vallen's Arrow and Mirror Ball - slotted ones and of higher level! Combine your standard event gear together as Recipe Ingredients to get the improved Gear! Watch Out you Candy Lovers for The Power of 500! 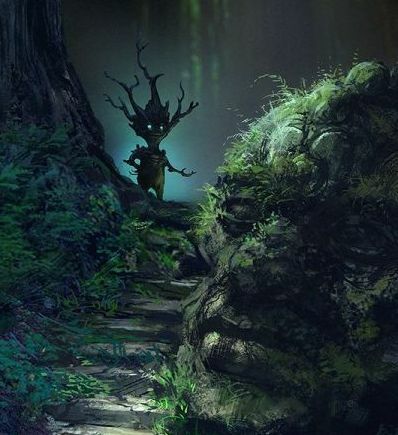 St Vallen's Chocolate Candies have mysterious powers. So be warned, you may become so crazy for candies that you will compete with each other to eating the most! Just you try and eat as many as you can and maybe you will discover a mysterious candy power providing you do it during St Vallen's Festival and not after it has ended! So, open your Heart to Love and your Backpack to Gifts! 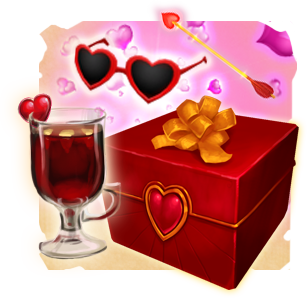 Fill the And don't forget about special event achievements - make sure to complete them all in the course of the St Vallen Festival! 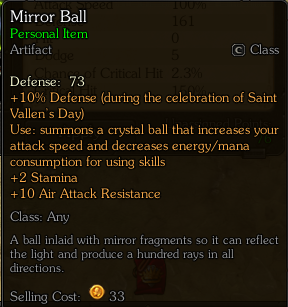 I actually have the recipe to make the A-class Mirror Ball and Vallen's Arrow. Last year I even managed to get 2 of the headgear so all I need now is 1 more and I can make the upgrade. I also got a Mirror Ball. 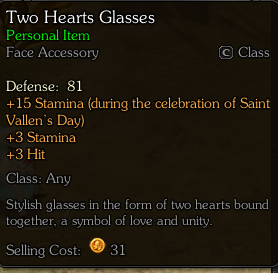 Unfortunately I haven't gotten a single pair of glasses or even a recipe for them. 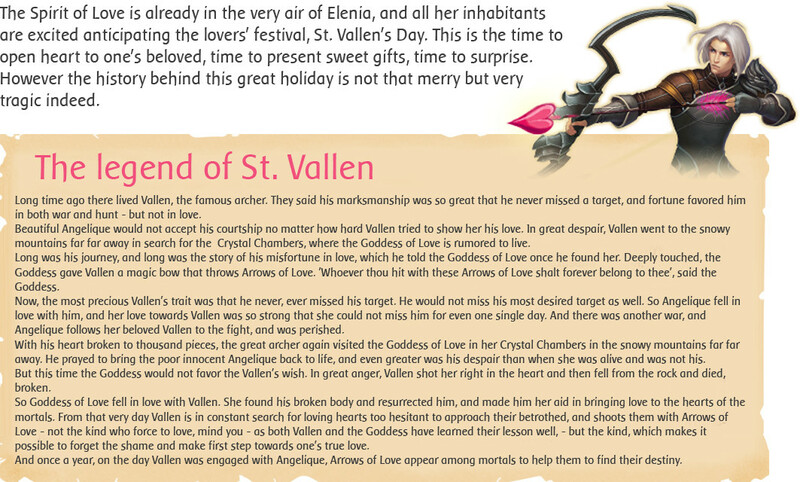 Please mind that the St. Vallen's Festival will come to end at 23.59 GMT/UTC February 21 - that is, with dailies' reset. So, the St. Vallen's Festival is over. How about some statistics?